The earliest record we have for Longwood is as a farmstead, Landwode (house by the long wood) in 1272. 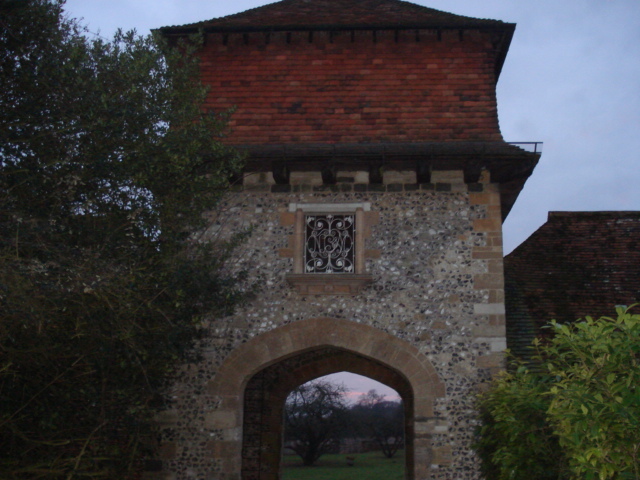 The next record is as Longwood Farm owned by the Bishop of Winchester in the 16th Century and was granted to Edward Vaughan and Thomas Ellys in 1589. After this the deaths are recorded of Benedictine Fr William Parker (1575-1655), who made his profession at the Italian Monastery of Montecassino and died at Longwood on 31st May 1655, and then of Robert (Paul) Robinson D.D, who died at Longwood on 6th August 1667. Longwood House belonged to the 1st Lord Carpenter until his death in 1731. It then belonged to the Ricketts family and it came into the ownership of the Earl of Northesk through the marriage of Mary Ricketts to William Carnegie, the 7th Earl of Northesk in 1788 and the house was known for a while as Rosehill (Lord Rosehill being the subsidiary title). The 7th Earl was third post at the Battle of Trafalgar in 1805. Mary Ricketts was the daughter of William Henry Ricketts and Mary Jervis, elder sister of John Jervis, Earl of St Vincent. The house was sited in the mid-19th Century walled garden, which is still in partly in place, and when it was built the original early 18th Century Garden associated with the Dovecote, also still in place, was removed, along with the sundial and summerhouse. The House was rebuilt 1879-83 by the architect George Devey, who also built the Dower House or Rosehill Cottage, the walled Kitchen Garden and Douglas and Mays Cottages. The letters GNJ and date 1880 are on plaques at the front of the cottages. They stand for George John, 9th Earl of Northesk. Above the Home Farm Gate are further initials, possibly "NSM". There was a Roman Catholic Chapel within Longwood House and a Methodist Chapel by the Dower House. In the 1930s the Duke and Duchess of York (the Future George VI and Elizabeth Bowes-Lyon) were guests. Before the Second World War it had passed to Lord Eldon (John Scott, 4th Earl of Eldon), Lord-in-Waiting to King George VI 1937-1952. Lord Eldon sold the estate to Arnold Laver, a timber merchant from Sheffield before WWII (the agent was John D Wood & Co). During the war the estate was requisitioned by the War Office and American Forces were billeted in Longwood House. The house was never in private use again, became derelict, and was demolished in between 1963 and 1967.